Finally, he offers three top tips for retreatment of dental implant failure cases. Nobel Biocare: Dr. Tabanella, what are the most common causes of mistreatments or treatment failure? What makes those cases so challenging to re-treat? Dr. Tabanella: “First of all they may be associated with biological limitations. For example, when there is loss of the periodontal ligament of the neighboring dentition, the blood flow may be reduced for bone augmentation. Limitations such as this make re-treatment difficult. Another limiting factor is the psychological aspect of these patients. They want to be re-treated but have lost trust in the medical profession. Also, we are seeing an increasing demand for a reduced healing time as well as a minimally invasive approach in tissue regeneration or repair. 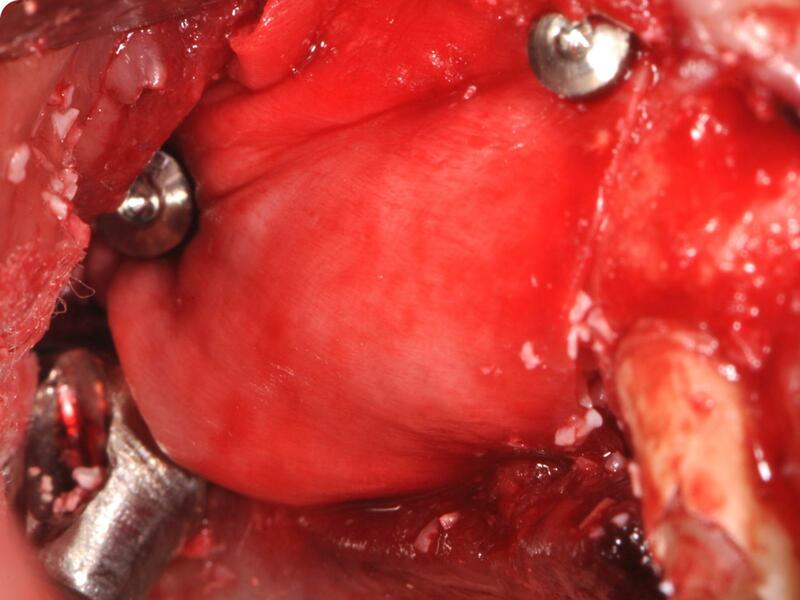 This is why we have introduced a buccal pedicle flap technique to boost the peri-implant mucosa without the need of multiple connective tissue (CT) grafts. Furthermore, if an ailing implant needs to be removed, the surgical approach has to be gentle enough to allow the placement of a new implant without disrupting the alveolar bone. To help achieve this, we increasingly now use a resorbable collagen membrane like creos xenoprotect in addition to the new flap design. What are the most important considerations for decision making of re-treatment cases? Dr. Tabanella: “First of all, patient compliance. We often deal with patients who have lost trust in dental treatment, and we need to regain that trust to at least some degree. Even though they really want to be treated, they may still be reluctant at the same time. So patient compliance becomes a priority. We also have to assess the risk of treating these patients. We need to define the factors for success – the predictors of peri-implant bone loss, for example – which need to be evaluated prior to treatment commencing. According to Dr Tabanella, digital software can provide great benefits in terms of diagnosis, and for communications with colleagues and lab. What digital solutions are the best to use for diagnosis and planning? Does DTX Studio suite benefit you in this respect? 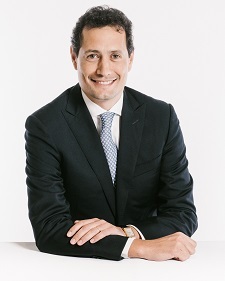 Dr. Tabanella: “Digital software tends to provide great benefits in terms of diagnosis and communication such as sharing data with other colleagues or even the lab. This, I think, is the most reliable and most important part. For me, DTX Studio suite is the most advanced digital software. We can visualize the final results and determine if what’s desirable is biologically possible. All the surgical variables can be evaluated prior to flap elevation and the treatment can be properly customized. This digital approach ensures our planning is truly based on reality; it is not just a drawing, but an accurate digital mock up. Do you find it beneficial to gain easy access to the full library of Nobel Biocare products? Could you tell us how your patients benefit from customized prostheses from NobelProcera? Dr. Tabanella: “I have been using CAD/CAM customized prosthetics since they were first available from Nobel Biocare, so I don’t see why we should use something that is not customized. Using customized components can help us reach an extremely high standard of precision and of the sculpture of the peri-implant soft-tissue collar. 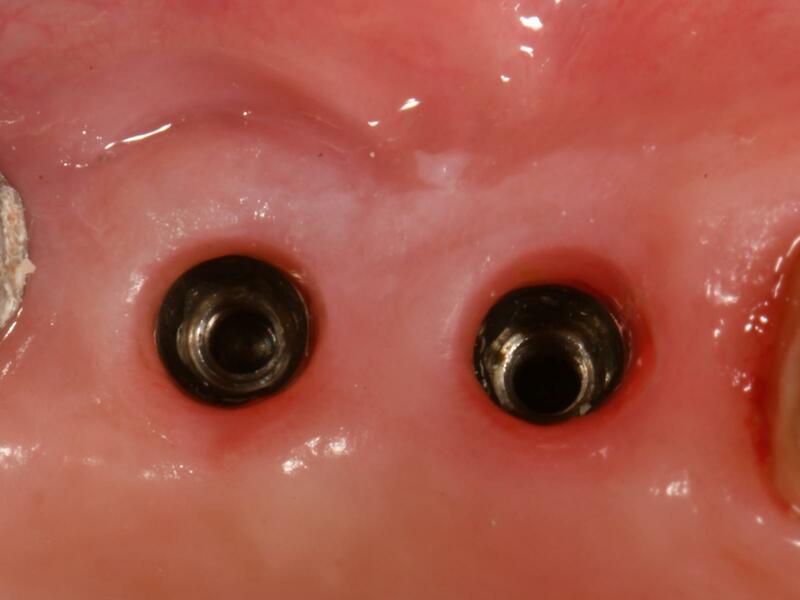 I find the best option to reach the ideal tissue boosting to be the combination of a buccal pedicle flap technique and CADCAM components. Do you think there are benefits for dentists who would choose pre-manufactured prosthetics over customized? Dr. Tabanella: “This could come in handy for a general dentist. Pre-fabricated parts are meant to do a decent job, but it really depends on how we want to treat our patient. Prefabricated abutments can work fine but if we are working in areas where there is a high demand for esthetic results, I think a customized abutment can bring a more esthetic, reliable and long-lasting result. 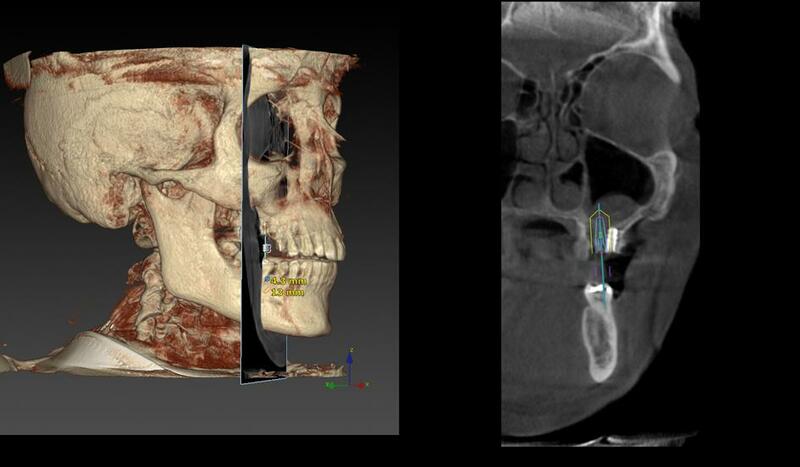 Furthermore, the use of software such as the DTX Studio can help clinician to define the ideal customized components. How often do you treat cases where a lack of precision fit has contributed to treatment failure? Dr. Tabanella: “Unfortunately this is very common in the implant-failure cases presented to our practice. 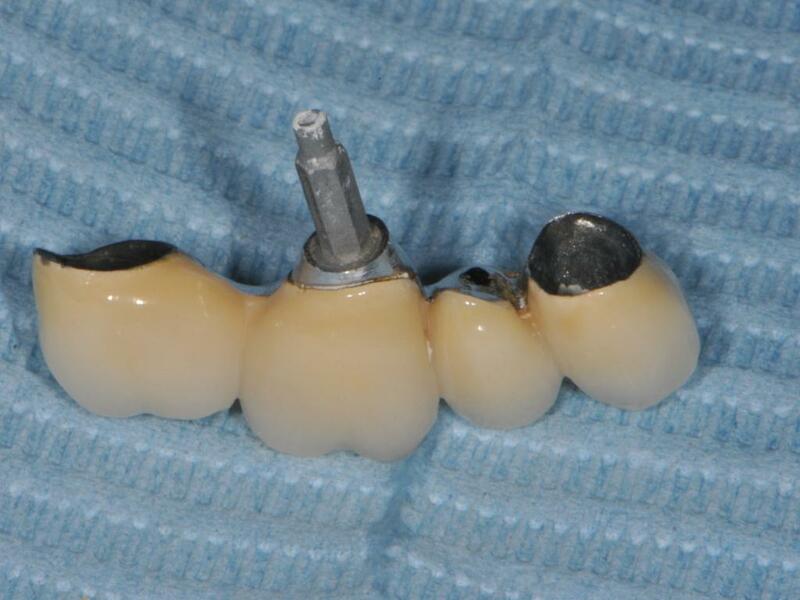 The use of poor implant components and non-original abutments we often see has led to implant failure. I would say to clinicians who regularly take this risk, it’s just a matter of time. Is it possible to avoid these failures by not using third-party components? #Tip 1 – Encouraging patient compliance: This is particularly challenging for patients who have lost trust in our profession after their treatment has failed. To encourage patient compliance, I recommend showing similar cases of failure and the way they have been treated. It is also essential to spend time understanding their expectations, in order to give them realistic expectations. #Tip 2 – Go digital for diagnosis and treatment planning: For re-treatment cases, this is important because this is the best approach to analyze each variable. The biological limitations must be clearly understood before performing the surgery, in order to be confident in what is realistic to achieve. #Tip 3 – Only use original restoration components: Just because a third-party component fits, doesn’t mean it works. 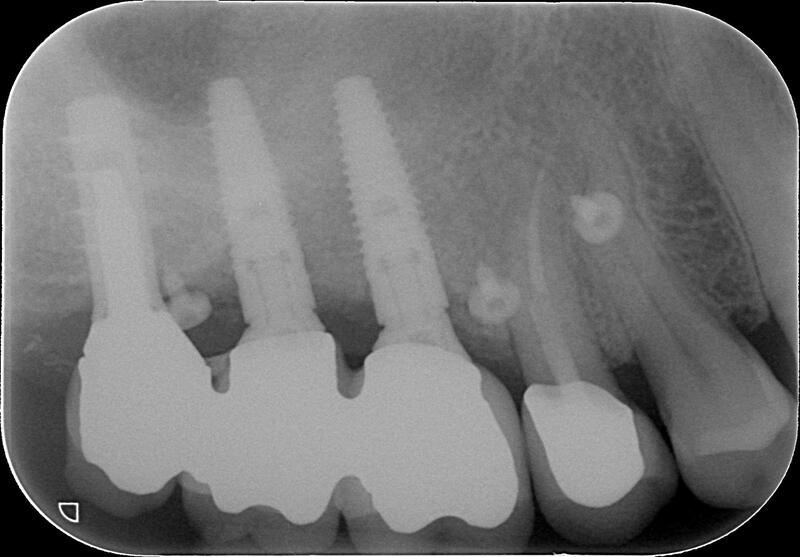 An implant is not just a screw; it is part of an entire system with different components that interact with each other. They should precisely fit to avoid the risk of damaging the interface between the abutment and implant. 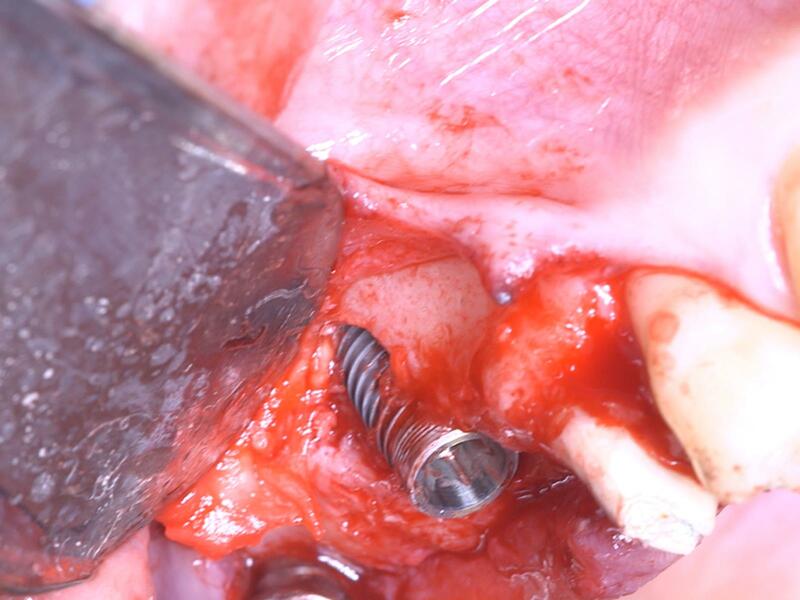 A mix of components that haven’t been designed or tested for compatibility is not a gamble worth taking – especially if your patient has already suffered from implant treatment failure. 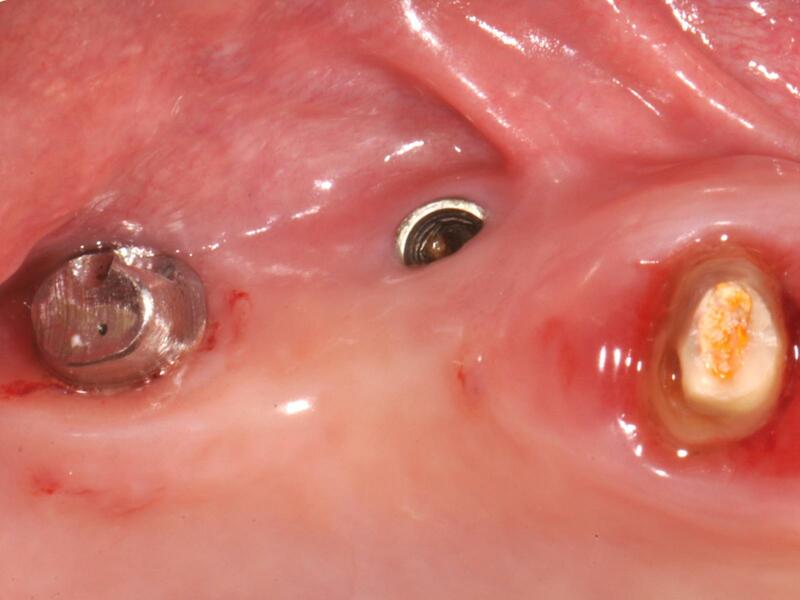 Figure 2: Buccal view of the ailing implant showing the high frenum attachment, the misplaced implant, and the poor quality of the mucosa. 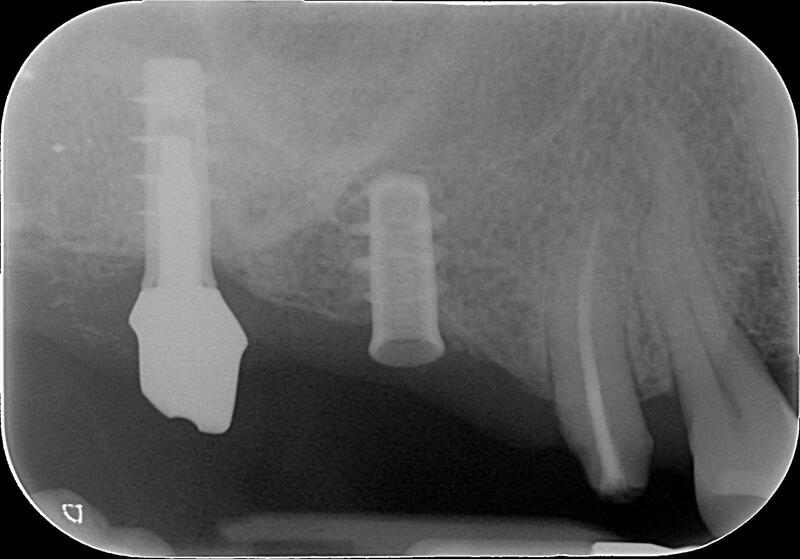 Figure 3: Pre-operative peri-apical radiograph showing the ailing implant. Figure 4: The pre-operative 3-D digital planning is an important diagnostic tool to define a prosthetic driven implant insertion. 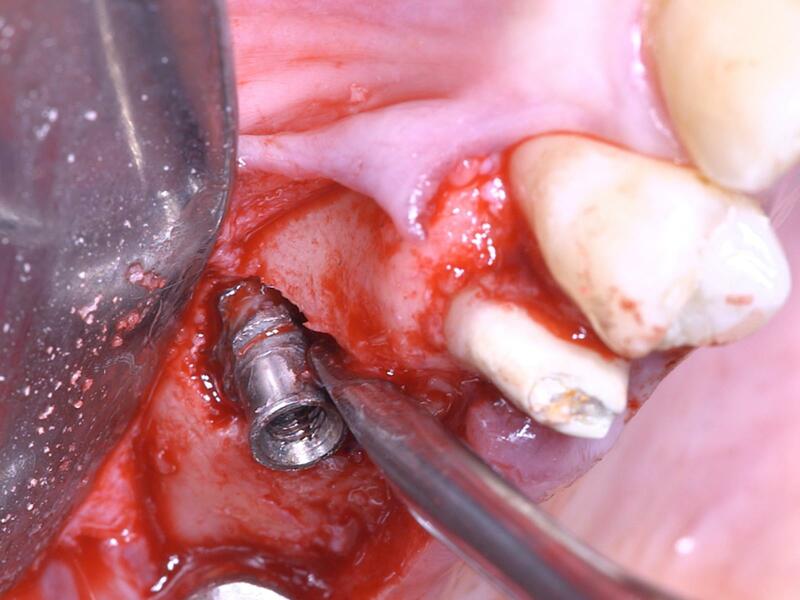 Figure 6: After the removal of the ailing implant, a new implant was inserted. On the buccal aspect, 10 mm of bone was missing. Figure 7: The resorbable membrane was fixed using titanium pins. 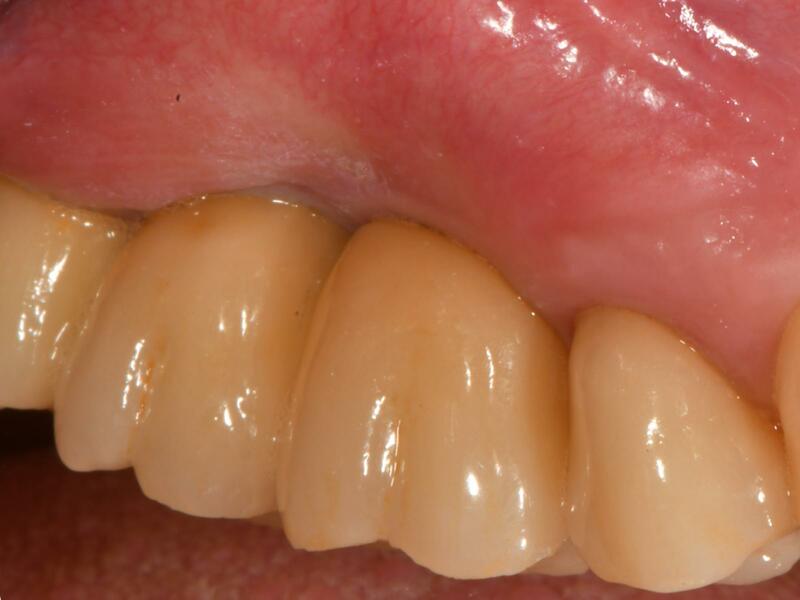 Figure 8: Occlusal view 4 weeks after the second stage surgery revealing a healthy band of keratinized mucosa. Figure 9: Final implant-supported restorations.